The Spurs head to Milwaukee on Wednesday night, another Eastern Conference foe that they will look to dominate. The Bucks, having a tough season, have yet to win a game against the West. San Antonio looks for their seventh win in eight games after winning last night at Toronto. The Spurs shot 54.5 percent from the field while improving to 8-1 against the East in a 116-103 win. This improved them to 16-4 on the season for the best record in the Western Conference. San Antonio plays some of the best team basketball in the league and recorded 30 assists in the game for a season-high. They also posted seven players with double figures in scoring. 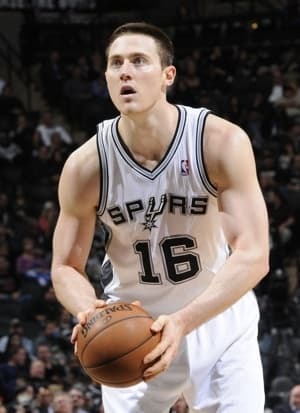 Aron Baynes emerged in this contest as a frontcourt option while filling in for injured center Tiago Splitter. Baynes scored 14 points in the contest. The Bucks will have trouble with a Spurs team that has posted over an 81 winning percentage against all Eastern Conference teams since the 2010 season. Milwaukee has a rough start to the year, but they have showed signs of life the past week. They won an ugly game last night at Chicago 78-74 and have won two out of their last three games. John Henson led the Bucks in scoring with 25, also a career-high. Milwaukee held the Bulls to under 40 percent shooting. It is a nice line for a home-dog for Milwaukee, especially with both teams coming off back-to-backs, but this team is a disaster offensively. Last night’s win against the Bulls was merely because Chicago was inept offensively. The Bucks scored 78 points and did little to quell fears about their offense. The Spurs move the ball better than anybody in the league and will easily be able to put up 90+ points against this team. I can’t see Milwaukee doing much offensively; they are extremely turnover prone and are playing slightly above average over a three-game stretch. San Antonio takes this one on the road and wins big. The Magic visit Charlotte to take on the Bobcats who are looking for their third straight victory. Orlando is mired in a six-game slump as they look to avoid a seventh loss in a row. The Bobcats got a massive win on Monday night as Kemba Walker had a big night. Walker scored 31 points, a season-high, in a 115-111 victory over Golden State. Gerald Henderson also added a season-high 24 points the contest. The victory gave them a 10-11 mark so far this season. Charlotte’s calling card has been their defense this year with their offense struggling. They are a bottom five team in field goal percentage with 41.4. Orlando has been miserable defensively during their seven-game losing streak which has seen their record slip to 6-15. They are giving up giving up over 107 points per game during this stretch. They lost 94-85 to Memphis on Monday, and while they were down for much of the game, they did manage to outscore the Grizzlies in the second half. A key injury for Orlando is the absence of center Nikola Vucevic who has averaged a double-double this season. He is doubtful for tonight’s contest, as well. His loss is monumental, especially when the Magic will face Bobcats’ center Al Jefferson in the paint. This is a classic mismatch in the paint for the Magic, who will not be able to handle Jefferson’s size and strength inside. On top of that, the Bobcats have played exceedingly well lately and are well coached. The Magic look out of sorts offensively and will be facing a team that is stout defensively, as well. There is a small look-ahead concern for the Charlotte who will face the Pacers on Friday, but this team has more than exceeded expectations so far. They are taking it one game per night and should dominate Orlando.